Located less than an hour southeast of Austin, Bastrop County is an exciting destination with gorgeous scenery, diverse wildlife, and the beautiful Texas Colorado River. Explore the county and its three cities and you will discover critically acclaimed restaurants, breathtaking natural wonders, fascinating historic venues, and serene places to hang your hat. Read on to see why you should visit Bastrop County on your next adventure here in the Lone Star State. 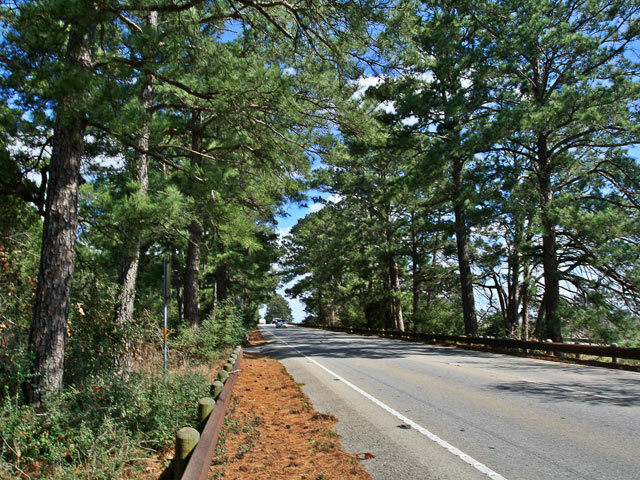 Known as “the Heart of the Lost Pines,” the city of Bastrop is famous for its beautiful outdoor vistas. Among these are the revitalized Bastrop State Park, the 900-acre Lake Bastrop, and a handful of lovely parks (including the incredible Dinosaur Park). Three golf courses also reside within Bastrop County, one of which (ColoVista Golf Club) -- has been called “the #1 hidden gem course'' in Texas. 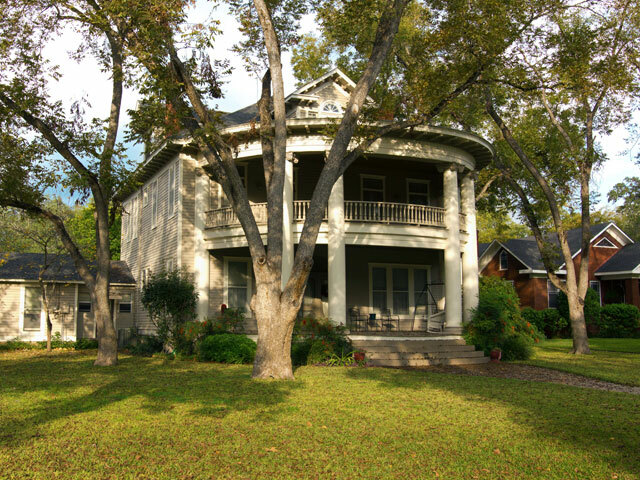 The city also boasts more than 130 historic homes and buildings, like the Bastrop Opera House, which is listed on the National Register of Historic Places and is still welcoming patrons for live theater performances. Some of these historic homes function as bed-and-breakfasts today, making for comfortable and convenient accommodations, while the Hyatt Regency Lost Pines Resort and Spa west of the city offers true luxury coupled with reams of family-friendly activities. Travelers between Austin and Houston know Elgin as the home of two fantastic, historic barbecue joints on Highway 290, Meyer’s Elgin Sausage and Southside Market and Barbecue, that together define why the city was named “the Sausage Capital of Texas.” They might not realize, however, that Elgin is a National Main Street Community, as designated by the National Trust for Historic Preservation, with a 14-block historic district. 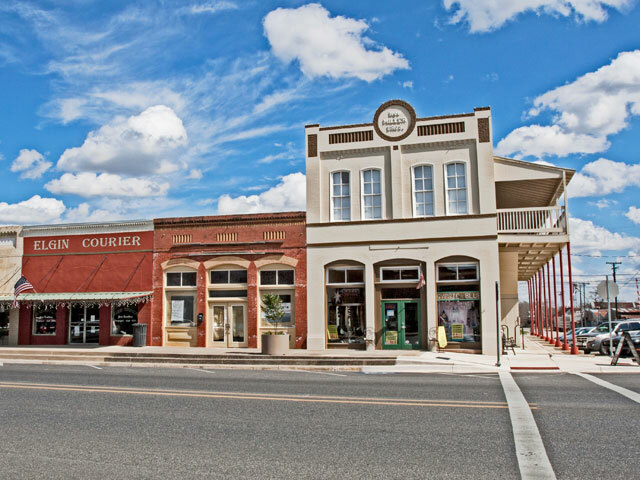 In the Main Street corridor you’ll find an interesting depot museum, a throwback-style dry goods store, antique and resale shops and a neighborhood wine bar called The Owl. And in the rural areas outside the city, excellent game populations make Elgin a favorite haunt for bird and deer hunters while Elgin boasts two Christmas tree farms. Smithville is a small city of just under 5,000 people, a charming community with lots of simple pleasures. Here you can pose for a photo where movie scenes were filmed, shop the stores on historic Main Street, sip “farm-to-bottle” whiskey at the Bone Spirits Distillery, or ride a bike down tranquil oak-lined avenues. Speaking of cycling, bike-riders eyeing the MS 150 flock to Smithville for the Pedal Thru the Pines cycling event for charity in March. And throughout the year, campers and lovers of the outdoors bring their hiking boots and kayaks to Buescher State Park, where a large, stocked lake and plenty of shade provide a respite from even the toughest Texas heat.